Originally written by fighter pilot Carl-Erik Bruun. Published with Göran Bruun's blessing. Awards: VM2, VM1, VR 4, VR 4 tlk. Lasse's time in Fighter Squadron 26 in nutshell. Lasse was assigned to the squadron on Feb 28th, 1939, still peaceful time in Finland. He had flight time of 148h 45min, and was issued to Captain Kaarlo Eero Erho's flight, which operated from the Utti base with the rest of the squadron. LeLv 24 shared the same field. The squadron was led by Major Einari Edvin Nuotio, and belonged to Flight Regiment 2, in Lieutenant Colonel Rainer Ahonius' command. The squadron was equipped with the British biplane fighter Bristol Bulldog Mk IV A. A plane with steel pipe hull and fabric skin, whose manufacture had ended in 1934. Finland was the first country to purchase the Mark IV A.
Corporal Aaltonen flew his Bulldog introduction flight on March 13, '40, on the same date as the Winter War would end a year later. The plane ID was BU-62, its top speed in the altitude of 4,880 meters was 338 km/h. 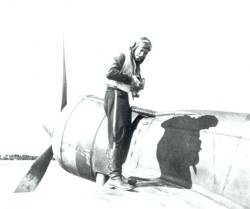 During his first month he flew the scheduled flights, including machine gunnery practise. Total 20 flights, 6h 55min. In April Lasse and his friend Martti Sillanpää were sent to LeLv 24 to receive training on the Fokker D21, since the 26 was about to receive the new fighters. Lasse was put in Lt Tatu Huhanantti's 2nd Flight of LeLv 24. He flew 7 hours in April and 6h 10min, when Capt Eino A. Carlsson took over the flight. In June Eino Anter Luukkanen stood in for the flight leader, and Lasse's flight hours increased by 5h 30min. The assignment continued still in July, then in Luukkanen's 3rd Flight. In addition to the FR, a new plane was introduced: the Fokker C-10, a biplane dive bomber, used to tow gunnery targets. Introductory flight with Airman Kanerva, with the FK-98 on July 10. Mechanics Rautanen, Raunio, Peltola, Ruottunen, Niemi and Salminen took turns in assisting the target towings. Lasse's total flight time increased by 10h 35min. In August Lasse returned to his own squadron, where he remained until Spring 1943. 4 flight hours in August. The 26 had mixed plane types at the time. FR, BU, KA (Kotka), AEj (Aero Jupiter), the latter old biplanes for target towing, and MO (Moth) trainer for courier and instrument flying flights. In the 2nd Flight, led by Capt Erkki Heinilä, Lasse earned 9h 5min in September, which rose the total number of hours to over 200. The squadron operated on the FR from October 1939 on, by the extra rehearsals. The last months before the Winter War broke were spent getting thoroughly used to the Fokker. Patrolling, maneuvers and target practise, as much as possible. By the War, Lasse had 216h 15min. In retrospect, it is notable how little the fighter pilots had flown before engaging in combat missions. The war began with a rumble on November 30, '39. The FR flights 2 and 3 of LeLv 26 were transferred to Immola, while the BU flight was on the Raulampi base at Heinjoki, SE of Viipuri. Most of the squadron's planes were assigned to the so called 5th flight, led by Ltn Jaakko Jalmari Vuorela. His second-in-command was Ltn Ensio Kivinen. Lasse had been promoted to Sergeant on May 20, 1939. Lasse couldn't scramble to fight the first raid, because the planes had been ordered to be hidden in the woods around the field. All he could was to lie down when shells and shrapnels whistled all over the field. His first war mission was on December 1st, 11:00 am, and the second at 2:50 pm on the same day. Clouds were low, and he didn't spot any targets. The flying weather remained bad until December 19th, when the sky cleared and the enemy air force could operate with new vigor. Lasse saw air combat for the first time on December 19th at 10:25 am, and again at 2:00 pm, when he got to fight SB formations. The Soviet medium bomber, designed by A.N.Tupolev, was the most used bomber in the Winter War. The plane type had been used also in the Spanish Civil War by the name "Katyusha". It was a full metal plane with three seats and two engines. Take-off weight 7,734 kg, armed with three 7.62mm machine guns. Cruising speed 372 km/h. On that latter flight Lasse earned his first kill. On December 23, after 10:20 am, he earned 1/6 of a SB bomber in a great air battle. According to the system, the kill was shared between all pilots taking part. The squadron was going to receive new planes. 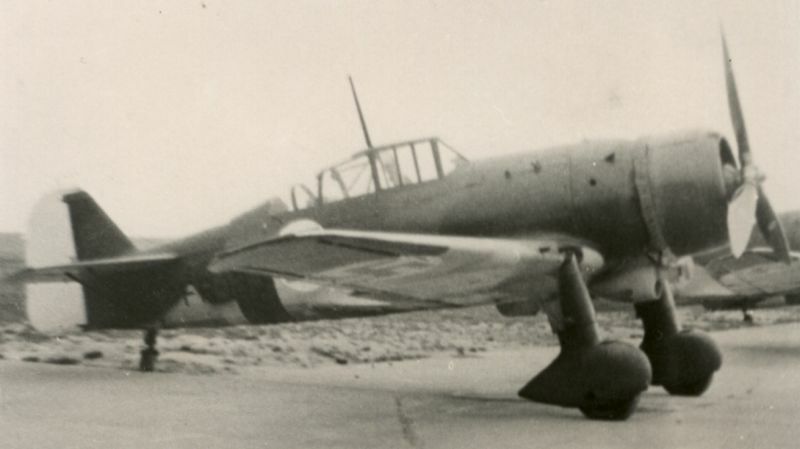 The first batch of 25 Italian Fiat G.50 fighters had been purchased on October 23, '39. The plane was sturdy, single-plane, full metal fighter, with retractable gear and adjustable propellor. Two 12.7 mm machine guns in the hull. Speed 484 km/h, maximum altitude 10,700 meters. Take-off weight 2,350 kg. By the LeR2 order #45, on Dec 31, '39, sgt Aaltonen was promoted to Senior Sergeant, as was Sillanpää. The Germans, Hitler, didn't allow the Fiats to cross Germany and delayed the delivery by at least a month. New planes were required and quickly. Gladiator and Spitfire fighters were requested from England. The SF's were too new, but Hurricanes would be given instead. The Gladiator II was a fabric-skinned biplane with non-retractable gear. Speed 410 km/h and very agile. 10 of these were given and 20 more purchased. 12 Hurricanes were promised. The New Year of 1940 was rough time for our fighter pilots. Only the FR-77 of LeLv 24 had been lost in December, when own AA scored a direct hit in Sgt Matti Kukkonen near Viipuri, and Sgt Veikko Rimminen was injured. In January Lasse was involved in several hard battles. The FR was not very unforgiving plane, it would easily go into spin if you pulled too tight a loop. This was especially dangerous when facing the I-15 and I-16 fighters. Shooting skills were essential against bombers. On Jan 17th, 1940 Lasse was in a tight battle south of Muolaa. He dropped a SB around 2 pm, and damaged another. By the end of January, the FR's were given to LeLv 24. On Jan 20th, Staff Sergeant Tilli went missing in action with the FR-107. His earthly remains were found in January 1943 near the mouth of the Uuksunjoki river. The squadron received its first Gladiator planes on Jan 18th, 1940. Lasse's introductory flight happened on Jan 23th with the GL-253. By the end of the month, he had flight time of 241h 55min. Lasse spent the first two weeks of February getting familiar with the GL, and flew a couple of combat missions with it. But his last GL flight happened already in Feb 8th. On Feb 15th, '40, Lasse began his Fiat flying period. He was sent to Sweden to pick up a FA from Västerås. Pilots were constantly sent to receive new planes. On Feb 8th, Lt Kauko Linnamaa, Lt Mathias Pirithy and 2ndLt Wilhelm Bekassy (the latter two were Hungarian volunteers) had been on their way to FInland with Fiats. When Linnamaa couldn't bring his plane to take-off, Ltn Mikko Linkola from our squadron who had been receiving Moranes gave the Hungarians permission to start. Only one of them had a map and the other had faulty compass. Pirithy returned to the field after losing sight of Bekassy. He was last seen near Svenska Höharn at Swedish coast, heading southeast. When Lasse was leaving from Västerås to Turku with FA-15, he was called to an interview. He was asked if he had gained any victories. He admitted, and so was ordered to fly all the time behind Pirithy and shoot him down if he tried to turn SE. They assumed that the Hungarians would take the planes to the Soviets, even if Pirithy assured that was not the case. Lasse followed the order, and Pirithy was so upset that he ran out of fuel at Naantali and had to land on ice there. The planes had been fueled with only 50 liters to assure they couldn't fly too far. A total of 9 FA's arrived at Turku that day. Lasse and Pirithy continued to Haukkajäri, Utti, at 3:40 pm and landed at 5:00 pm. Pirithy hit the ploughed snow and rolled his plane. Nieminen's group of five FA's left Turku too late and had to land on narrow runway in dark, with a plane they were unfamiliar with. 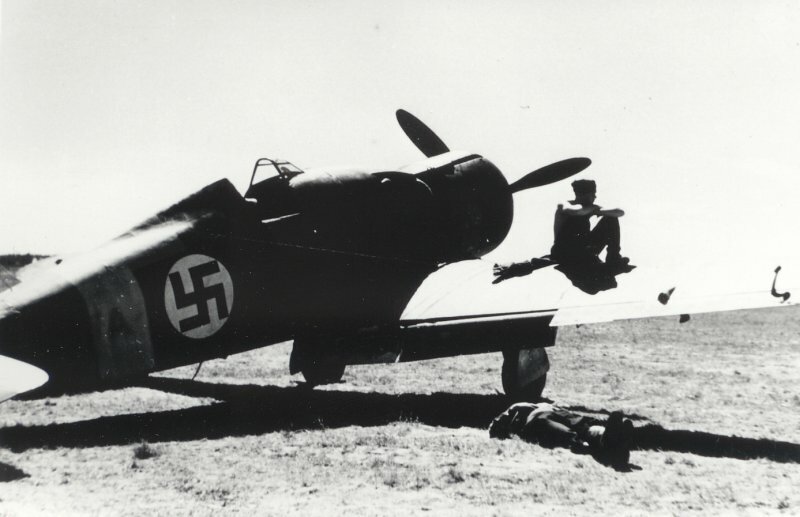 Sgt Paavo Saarni's FA-4 went on its nose, but the damage was minimal. Lasse was introduced to the Fiat already at Västerås, on Feb 12th, with Pirithy's FA-2. The planes went to intercept duty immediately, even if the resin oil used in the plane stiffened already at -4C, which caused jam in the propellor blade angles and landing gear. He flew nine intercept missions in February, 8h 10min with Fiat. On Feb 29th, Aaltonen and Sgt Onni Paronen each shot down a new DB at Kouvola. Lasse flew the FA-4. Aaltonen: At Kouvola at 2,500 meters. 9 bombers and fighters. I drew smoke from the right wing plane engine, moved to the left wing plane and drew smoke from its right engine, flames could be seen clearly. Sgt Paronen fired at the right wing plane. The planes flew south losing altitude. Ammo spent 700. Flight time 45 min. The regional air defence center reported two planes coming from the mainland land into the Gulf of Finland. At the same time, at Ruokolahti the squadron suffered its heaviest loss. LeLv 26 lost six GL's, three pilots died and two were injured by burns. The last month of the Winter War, March 1940. March 2nd, Lasse dropped a I-153 with the FA-4, and drew smoke of two more. March 11th, hits in a I-153 at Kouvola with the FA-31. It was Lasse's last flight in that war. Total flight time 260h 40min. Combat flights 31h 5min, 42 missions. The squadron's peacetime assignment was Joroinen, and April was spent there waiting for the ground to thaw. The sole entry in April was an introductory flight with a captured I-153 on 24th. The 2nd Flight spent May honing their piloting skills and evaluating their actions during the War. Four FA's flew to Joroinen on May 29th and seven on 30th. The squadron was at Joroinen in its entirety in June. The 1st Flight was in the SW corner of the field, the 2nd in N and the 3rd in NE. The personnel lodged in the town. A jolly quartet of pilots, Porvari, Pöysti, Aaltonen and Suikkanen, found a small yellow house for themselves next to the church, with one end facing the street. Soon, amazing stories began to circulate of the house - women apparently found all four irresistible. On June 19th, '40, H-J (squadron commander Harju Jeanty) delivered the last Fiat from Sweden. H-J had trouble landing the FA-16 at Turku, he couldn't open the canopy. On July 28th came assignment to gunnery exercises at the Vaala field. Res. Lt Olli Puhakka flew the FA-1 there on July 30th, on Aug 1st 2ndLt Aate Lassila flew the FA-14, Sillanpää the FA-2, Paronen the FA-26, and Uuttu the FO-69 with mechanic Lankinen. H-J flew the MO-112 through Karvia to Vaala on Aug 8th. On Aug 9th, there was an armed attack against the Vesivehmaa field. The shooter was not caught, but the guard fired back. At 2:15 pm, LtCol Lorenz called up general alert to the flights. Planes were dispersed to the edges of the field, AA weapons were manned, and leaves were cancelled. Aug 10th, the 2nd Flight on alert. Lasse was doing target towing at Vaala and some gunnery as well. Building squadron signal links were finished on Aug 11th, but the aerial surveillance regional centers aren't operational. At 2:00 pm, officer watch began in the squadron hq. Personnel at the gunnery exercises were ordered to return to Joroinen. On Aug 12th, Hämäläinen, Aaltonen, Puhakka and Tirkkonen brought the FA's back, Sillanpää the FO. Around this time, the Germans began to approach Finland, suggesting a permission to transport troops through the country to the occupied Norway, and weapons deliveries. 2:55 pm on Aug 19th, phone message #814/II/3f of LeR2 to the chief at General HQ. Last night, an unknown number of armed people attacked the planes at the Vesivehmaa base, and fled after an exchange of gunfire. No damage to planes. A squad of troops assigned from Hennala to enforce security. Report has been made to the General HQ watch office, and the incident is investigated. Precautions taken in other bases. Scramble excercises on Aug 28th, Lasse with the FA-35. Sep 9th, the AA stepped down from alarm, weapons put to storage. Sep 16th, alarm cancelled. Officer watch remains. Rest of the year spent on exercise flights. Smell of a possible new war was already in the air. By New Year, Lasse had logged 297h 45min. From January on, Soviet planes committed regular crossings of the border. On Jan 20th, Lasse held a lecture on the german Major Werner Mölders' tactics. Major H-J efficiently arranged the FA's to combat-ready status. A test flight was assembled. A retractable landing gear and armoured seat were designed for the Fiat. The FA already had the rubber coating of the gas tank. FA-15 and 22 were assigned as testbeds. In April 1941, between 24th and 29th, Lasse flew a series of test flights with the FA-22. Power dives, maneuvers in different altitudes. The same with the FA-15 in May. The FA-22 had retractable skis and armour, the FA-15 had normal wheels and no armour. Sgt Sulo Suikkanen was the other test pilot. Speeds of 750-800 km/h were reached in dives starting from 3,000 meters. The FA-15 was flown to Utti for comparative tests. The results of the tests showed that the skis and armour worsen the plane's properties so badly that the alterations weren't worth the effort. Joroinen prepared for war. Yellow 'east front' stripes were painted on the planes. Order for the additional rehearsals came, starting from June 18th. Alert readiness, AA weapons were installed in their places. Flights took watch turns. Lasse test flew the FA's 24, 34 and 19 which had been in storage. Germany invaded the Soviet Union on June 22th. First scrambles were flown in the Midsummer Eve, but no enemy planes were encountered. On Midsummer Day, the squadron dined at 10:30 am. At 11:08, came alert of 8 bombers heading towards Varkaus. 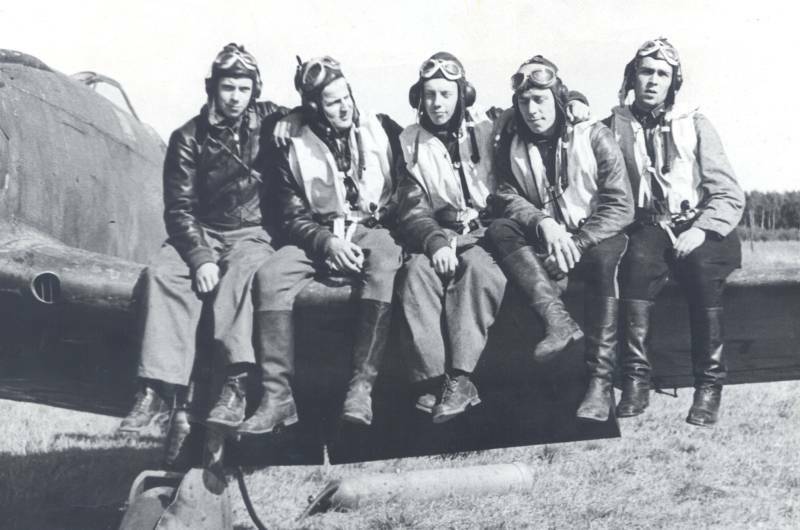 Some pilots of the LeLv 26: Kalkkinen, Hämäläinen, Bruun, Aaltonen and Helenius. At 11:15, a wing from the 2nd Flight took off, Hämäläinen, Aaltonen, Linnamaa ja Suikkanen, but didn't meet the enemy. Called back for refueling. Landing at 12:05. While the wing was airborne, a message came in at 11:32: enemy bombers in South. Six planes from the 3rd Flight and four from the 1st (of which Joensuu was airborne already) were sent to intercept. Enemy planes passed ours on the deck at Haapavesi. Three planes of the 2nd Flight's wing had already come to halt and Suikkanen was still taxiing, when a formation of 15 SB's appear over the field. Suikkanen brought his FA-15 around and took off. Aaltonen, remembering the bombing of Immola, leaps into the FA-33. Fortunately the FA starts immediately, thanks to the pressured air system, and Lasse was speeding along the field when the bombs fell 50m behind his tail. Suikkanen dropped one SB and Lasse soon another. Together, they brought down a third one. When 10 remaining SB's were turning home, Nieminen's swarm pounced them. At one time there could be three SB's falling. Enemy tail gunners kept firing all the way down to their deaths. Total number of certified victories was 13. One book published in Soviet Union admitted that the 72th Fast Bombing Regiment lost all of its planes on the first day of the war. "Tiltu" of Moscow, the Finnish-speaking propaganda radio voice, reported their planes shot down 13 "Messerschmitts" at Joroinen. Lasse was missing, until Ranatasalmi reported he had landed there for fuel. At the start of the war, Lasse had 333h 50min flight time, and the war went on for years. On June 28th, Lasse was transferred to Rantasalmi with the 2nd Flight, and on July 6th again to Joensuu, closer to the frontline. The surface of lake Pyhäjärvi was a couple of meters lower than normal, revealing excellent sandy beaches, strong enough to bear a fully laden Blenheim. The 1st Flight had arrived there already, on July 3rd, and settled to the Noljakka shore at Linnunlahti bay. On July 4th Oiva Tuominen shot down four SB-2bis planes from a formation of 12 that bombed Joensuu. At Joensuu, Aaltonen flew combat flights almost daily, but met no enemy. The 3rd Flight moved to Värtsilä on July 13th, and the 2nd on 14th. At Värtsilä, the flight was subjects to attacks by enemy planes. On July 18th, Linnamaa and Lasse engaged in ground battles. Then came the move back to Joensuu for maintenance, and to wait for a new transfer to south. The water in lake Ladoga was so low that the Lunkula strait was dry. Lasse's 2nd Flight was the last flight to arrive there on Aug 2nd. 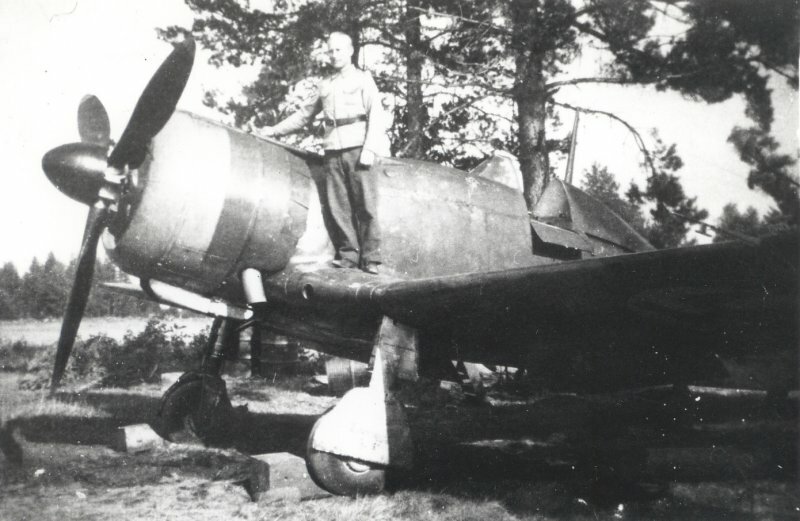 While flying from Lunkula, Mikko Linkola had to bail out on the enemy side when his engine dropped off mid-flight. Also the leader of the 2nd Flight, Capt Kivinen, ended up swimming when his low-flying Sääski courier hit water and sank at Salmi. The 2nd Flight was moved to the Rajakontu shore. The base was christened "Ville". The first wing landed there on Aug 15th. The field was also on the bed of lake Ladoga, between a small island and the mainland. The enemy failed to notice it, because it was marked water on maps. Lasse was given a leave, and on Aug 23rd he brought the FA-28 to Ville. The frontline had been stopped at Tuulosjoki river, the troops continued the advance at the beginning of September. The squadron had very few planes, the 3rd Flight had a single FA and the regiment commander's Brewster. All planes in flying condition were given to the 2nd Flight, and Luukkanen's flight from LeLv 24 was moved to Lunkula for the LeLv 26 to use. On September 12th, '41, came order to move the LeLv 26 to Immola at the Carelian Isthmus. Lasse's last flight over the Aunus Isthmus was on Sept 13th, 12:30 - 1:35 pm. No more victories. Several flights to cover the ground troops' advance. Total flight time climbed over 400, to 401h 45min. The 3rd Flight flew their planes via Lunkula to Immola, arriving in heavy rain on Sept 16th, after 8:30 am, and parked their planes outside the Soldier's Home canteen. On Sept 22th, the 3rd Flight moved to the Sakkola field. Lasse delivered the FA-4 from Immola, where Fiats were maintained still on Oct 24th. On November 22th, the 3rd Flight at Sakkola was switched to the 2nd. Less activity at the end of the year, partly because of poor weather. On December 1st, LtCol Harju Jeanty gave the command to Major Eino A. Carlsson, who had been the squadron's first adjutant. He would be Lasse's superior until Lasse's transfer to LeLv 34. After the advance was finally halted and the frontlines fortified, one flight kept watch at Malmi field in Helsinki. 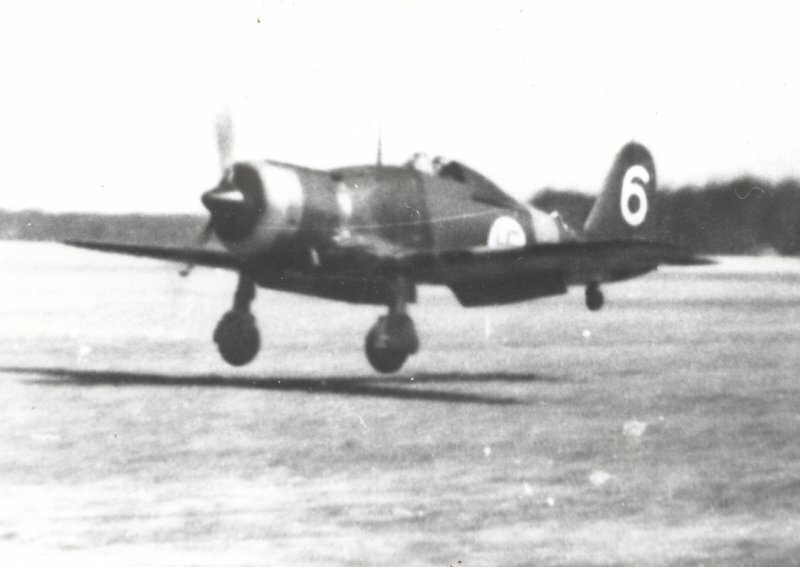 The squadron was organized into two flights, Puhakka's 1st and Kivinen's 2nd. Every other month, Lasse was defending Helsinki, and the other was "rest" at Immola (Horrors!). The spring was long and ground unsafe at Ladoga. The occupied islands and Valamo didn't receive mail and the necessary "packages" from home. A mail delivery flight was organized at Käkisalmi. Lassila, Bruun, Metsola and Aaltonen were chosen as pilots. The mechanics were Luukkonen and Seppälä, assisted with Koiranen and Mokki. The planes would be two overhauled "Bull" Moth planes, which Bruun and Länsivaara flew from Kuorevesi on April 27th, '42. The personnel lodged in a hospital building north of the Käkisalmi Castle, together with a sergeant and 14 girls of the Käkisalmi aerial surveillance station. Mail was dropped and picked up. Sometimes enemy fighters patrolled the same icy regions, but there was no encounter. The ice of the Ladoga could bear no weight, so the planes had to climb high enough to glide all the way to Valamo or Käkisalmi. The mail men were busy. Once a mail sack picked up from Konevitsa wrapped its line around Lasse's plane. It was extremely dangerous, considering the steering wires were outside the rear hull. The pilots and their mechanics got quite skilled at mail sack dropping. After the work flight, they'd secretly fly women. More fuel was spent, but they weren't caught. The flights ended on May 29th, and Lasse flew the planes with Bruun to Immola conveniently for Mannerheim's 75th birthday and Hitler's visit. Early in June 4th, Sihvo and Lasse flew an intercept mission at Immola. Hitler arrived at 12:30 and left after 6:10 pm, with no enemy planes harassing or killing him. The banquet was at 7:00 pm. Germans and Italians brought a navy flotilla to Ladoga and kept the squadron busy over the summer. AA was twitchy and shot at the squadron's Fiats, even if they were trying to give cover to Italian MAS torpedo boats. The FA's had been transferred to Petäjärvi lake (near Kiviniemi) on June 7th. They didn't stay long there, since the field was given to a German Messerschmitt squadron. On June 29th, at 7 am, the FA's took off to Kiipasilta. Inspector Lemmilä and Bruun renamed the field Kilpasilta, who'd understand a name like Kiipasilta anyways. 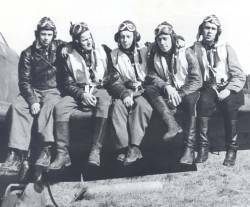 The squadron stayed there many years and it was Lasse's home base, though at Malmi he flew the Hurricanes the squadron had been given. Once Kivinen thought the weather allowed them to leave the capital uncovered, and took Lasse with his HC to Kilpasilta. It was foggy and everyone thought it was no weather for flying, and took a day off with some liquor. But the night cleared to perfect bombing weather and the HC's were needed at Helsinki. The guys started, but Lasse blew a wheel and the propellor tip hit ground. Kivinen got to Malmi successfully and wasn't caught. Lasse got to continue his rest. Nothing special happened in Lasse's remaining time in LeLv 26, and then we had to hand him over to the LeLv 34. Lasse was still in the 2nd Flight on April 10th, '43, when the transfer happened. On April 16th, we bid farewell to our 'dear brother'. Lasse's Messerschmitt career began on May 8th, 1944 over the Gulf of Finland, when he dropped a Yak-9. There were five more, and finally a Lagg-3 over the Isthmus on July 5th. Lasse earned total of 12 2/3 victories, over 300 combat missions. This story is salvaged from my father's remains. Transcription and proofreading: Jukka O. Kauppinen "Grendel"